Enerpac , a leader in high pressure hydraulic tools, announced their new Power Box – Portable Tool Sets. These easy to carry sturdy tool boxes contain complete and ready-to-use hydraulic sets. These sets include a single-acting cylinder, P-392 two-speed lightweight hand pump, gauge adaptor assembly, 1,8 metre hose and couplers. You can choose from a series of cylinders for this completed set. 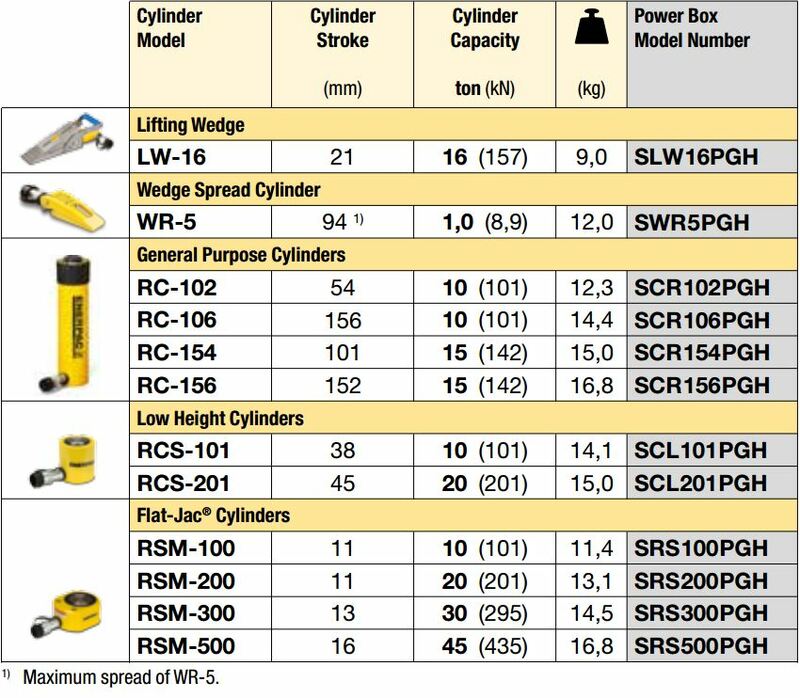 More information is available here: http://www.enerpac.com/en/industrial-tools/hydraulic-cylinders-jacks-lifting-products-and-systems/general-purpose-hydraulic-cylinders/power-box-portable-tool-sets. Enerpac is a global market leader in high pressure hydraulic tools, controlled force products and solutions for precise positioning of heavy loads. Enerpac manufactures products, from the smallest hydraulic cylinder to complete computer-operated lifting and positioning systems, to provide their customers with innovative solutions that increase productivity, are cost effective, and make work safer and easier to perform. For more information on how Scott can get you great pricing on Enerpac products and systems, please e-mail us at [email protected] or call 937-233-8146. More information on our services can be viewed at www.scottindustrialsystems.com. This entry was posted in Fluid Power, Industry News and tagged Cylinders, Enerpac, Portable Tool Sets, Power Box. Bookmark the permalink.